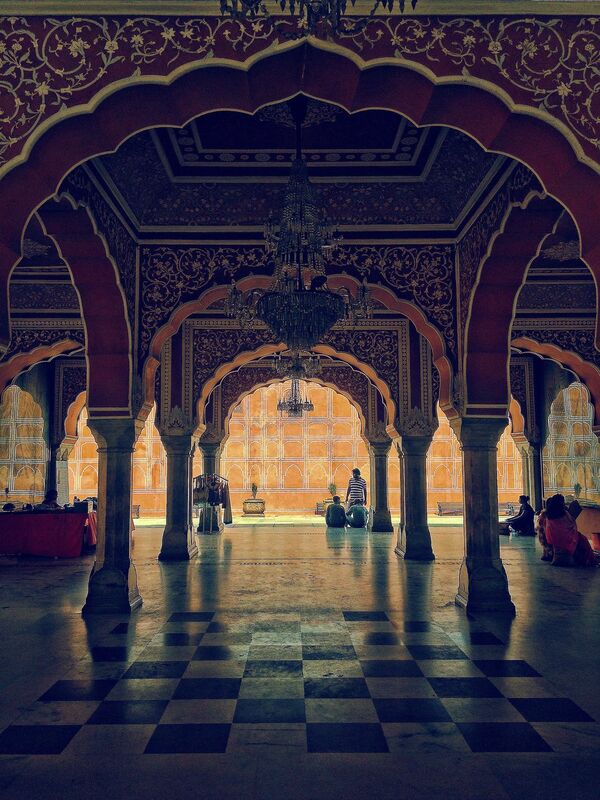 This photograph is of a hall area in the city palace, Jaipur, India. Where people are resting and observing the architecture. Date Uploaded: Nov. 26, 2018, 12:05 p.m.